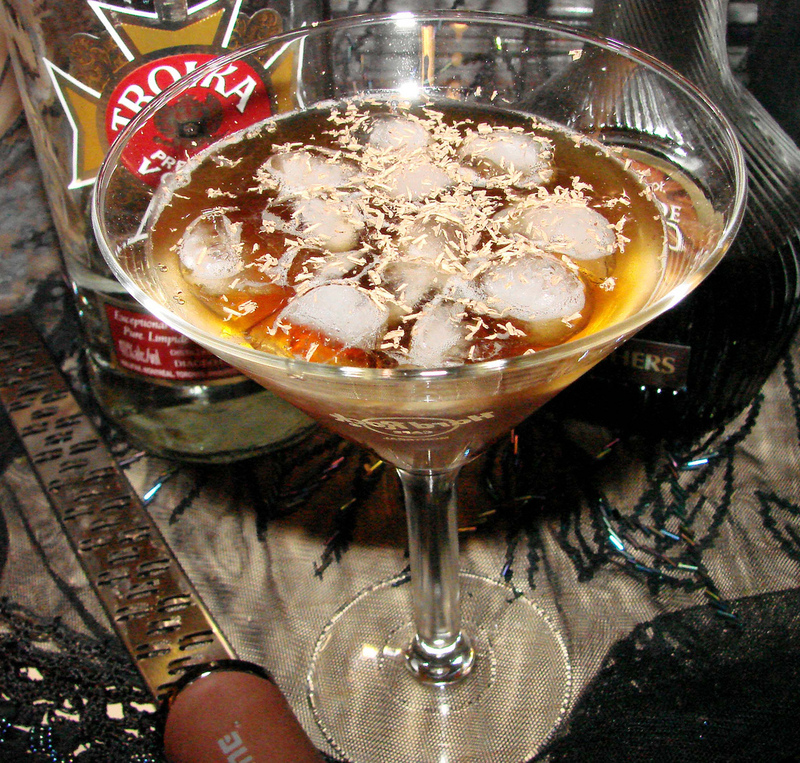 Last week I tried this Quick Chocolate Martini. It’s beautiful and so good. It’s not too sweet. 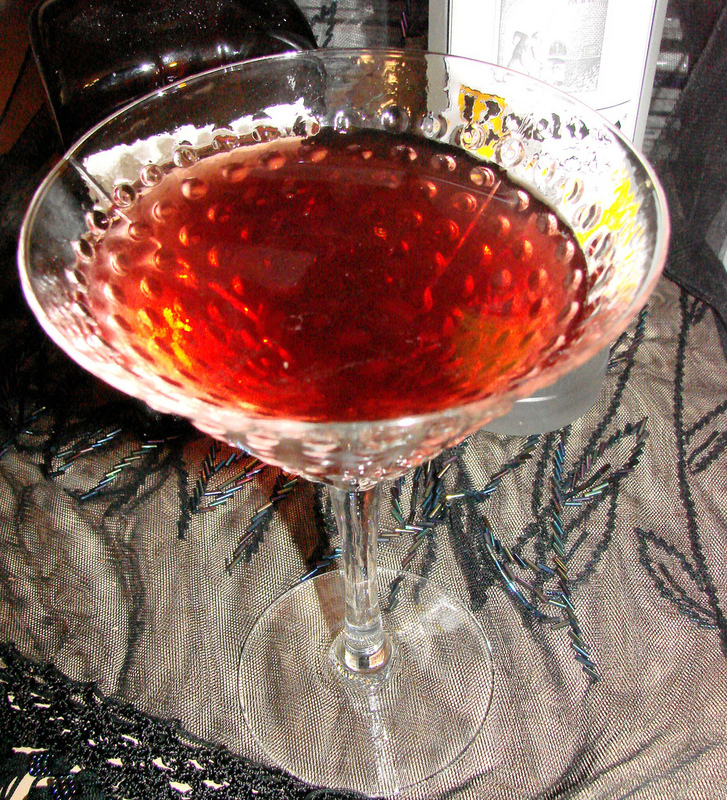 I also made The Skinnygirl Margarita – Bethenny Frankel. I don’t know who is she. 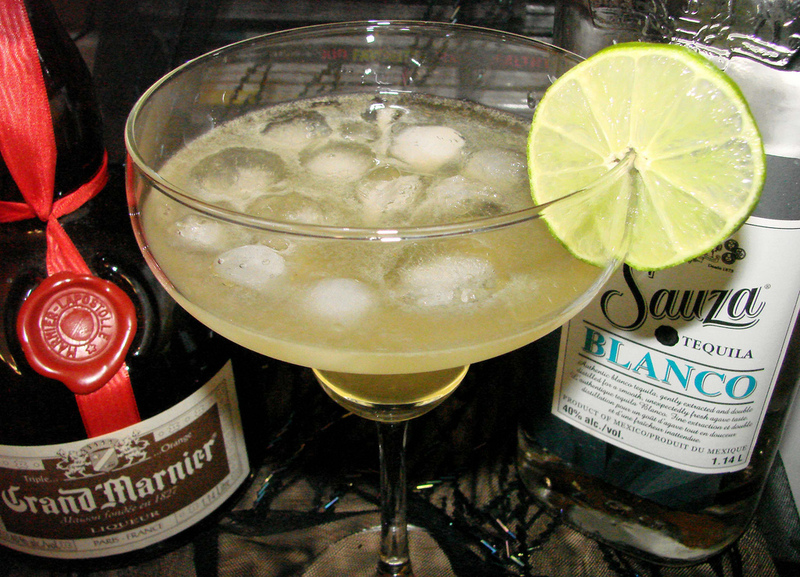 I didn’t made the drink because of her, I did it because I love margarita. 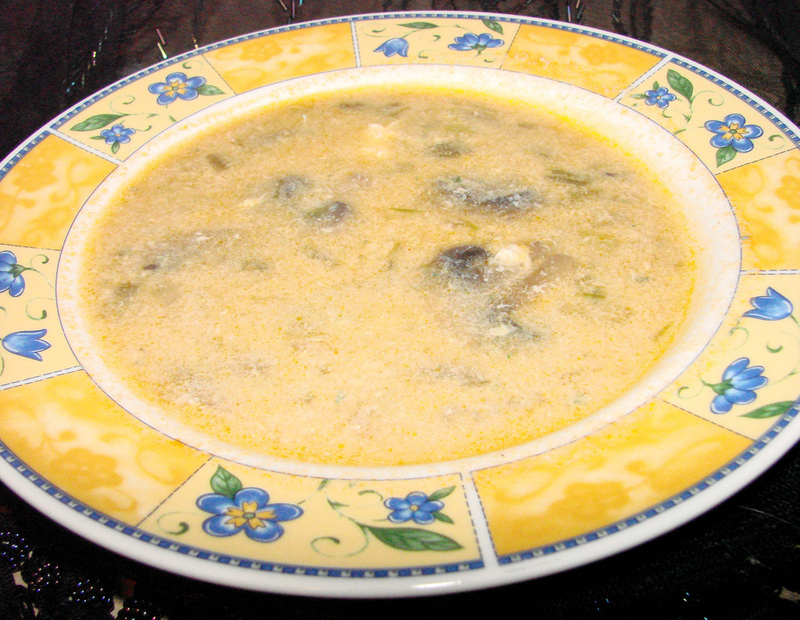 I made this mushroom soup last week. We loved it. I don’t know why Paula‘s soup is more dark than mine? Maybe cause I used chicken stock? Maybe with beef stock, it’s darker. When the soup was done, I tasted it and told my boyfriend it was a little bland. And then I remembered that I forgot to add the chicken granules (I only added water). So at the last minute, I added the chicken granules. LOL It made a big difference. I always use sodium free less fat chicken granule bebause my boyfriend has to absord a minimum of sodium. He has high blood pressure and he’s going to turn only 37 years old this Wednesday. Today is my office “party de Noël”! (Christmas party). We’re going to be a big gang about 12-13 people. I made Spaghetti and Meatballs from the blog Guilty Kitchen. I didn’t have spaghetti squash so I used regular spaghetti with great results. Usually I don’t really like “tomato” sauce, for me there has to be meat in it. And also I’ve never made spaghetti sauce with meatballs. So that was a first for me. I really liked the taste of all combined together. 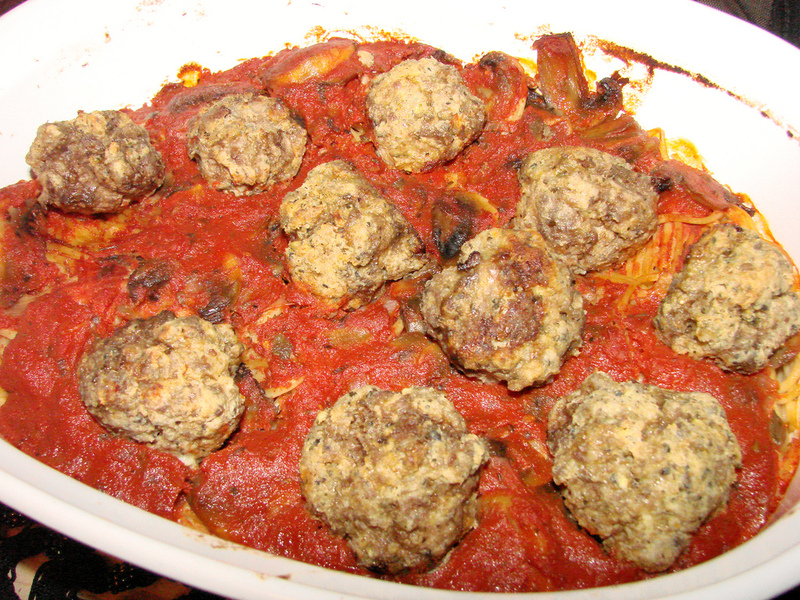 The meatballs are great and yummy. Cheese on top would be great but like that it’s very good. 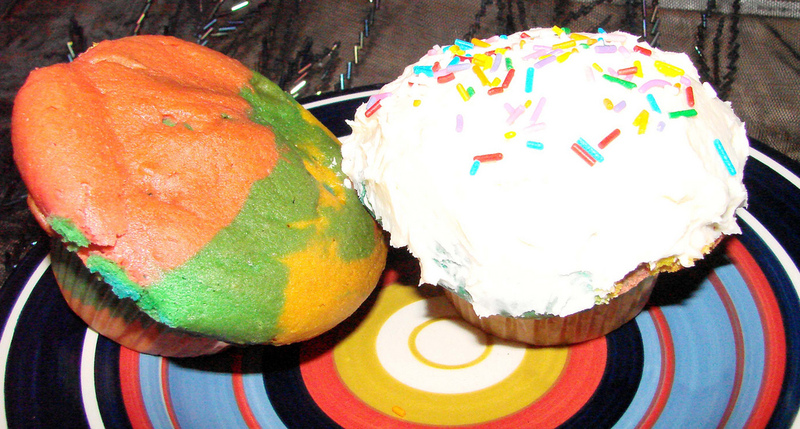 I made rainbow cupcakes that I seen on Picky Palate blog. Her cupcakes are so beautiful. But mine didn’t look as good as the ones she made. 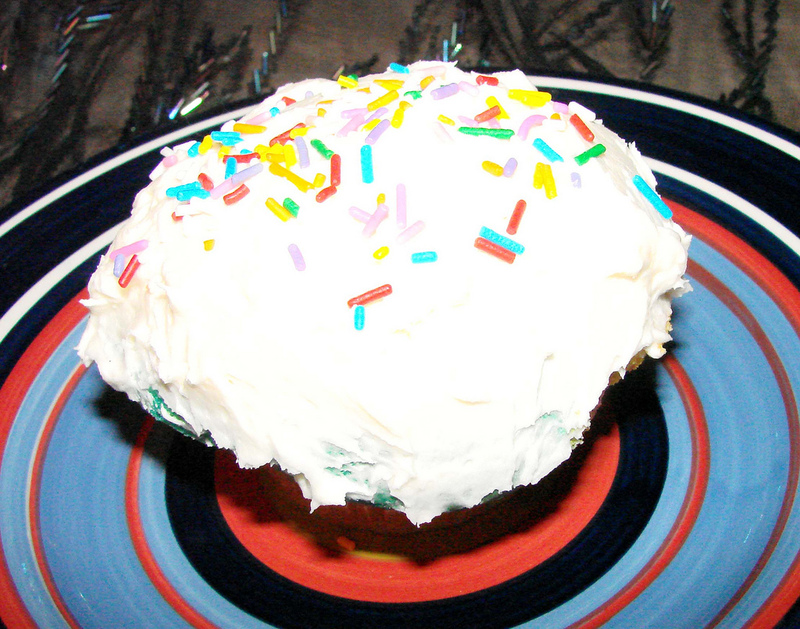 I made only 12 cupcakes. So they were big. I was not so good at separating the colors. So I did it the best I can. I would like to present you a beautiful cupcake but I can’t for now. Close your eyes LOL Tadam! I really love this buttercream. It’s so yummy! 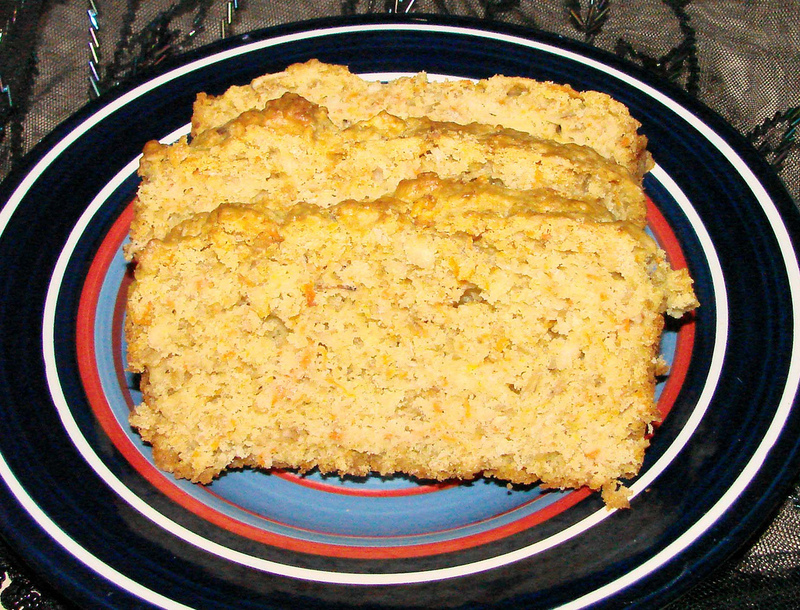 Last week I saw this recipe of Granola Carrot Bread on the blog of Cookie Madness and I knew I had to try it. It’s kind of dry a little bit but the taste is great and healthy. This is something I’ll do again. It was easy to do.